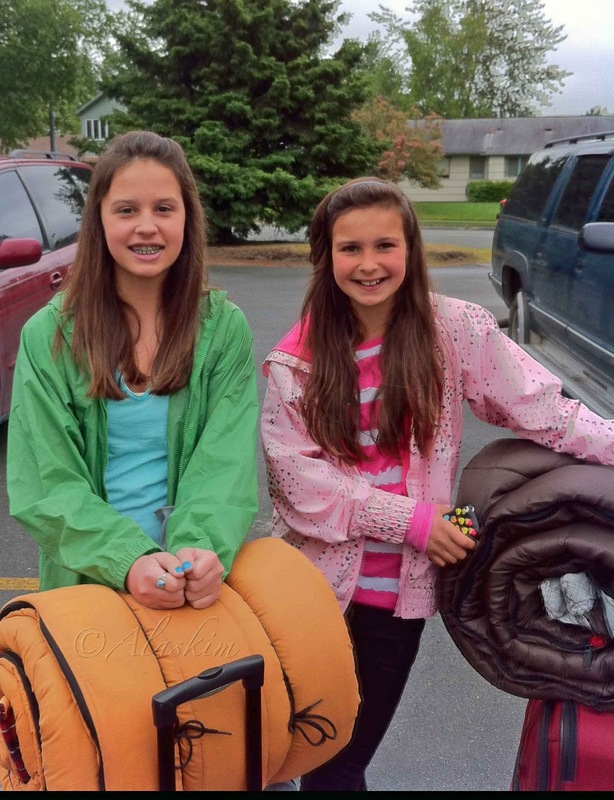 Alaskim | Surviving Wildlife, Wildflowers & Wild-Haired Children: Camp! My older daughters are off to summer camp—one glorious week of swimming, arts-and-crafting, playing outdoor games, hiking, and singing around the fire . . . without any nagging parents telling them to clean their rooms or annoying little sisters trailing after them. Good for them, hope they have a wonderful week! I need to look into summer camp for my boys. I went one summer as a very small girl and Hubster never went, so I don't really have any experience with it. The whole thing scares me - an entire week away?! I went away to camp several times when I was a kid and it was a highlight of my life. I loved it! Wonderful experiences and wonderful memories!